Is Arnica tea a solution for your muscle problems? It can be! You get home from work or the gym and, naturally, your muscles are hurting. 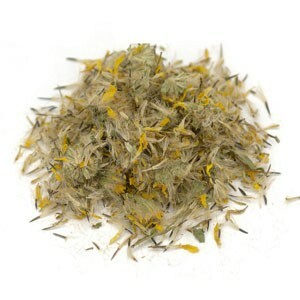 Arnica herbal tea is great for healing bruises, relieving muscle pain and treating injuries. However, arnica infusions should only be used externally and not drunk, unless under medical supervision. This aspect cannot be stressed enough, but don’t let it put you off this herbal tea just yet. Let’s take a closer look at this healing tea and find out what more it can do for you. Its Latin name is arnica montana, but the name arnica actually comes from the Greek "arna", which means lamb, probably because this herb has soft hairy leaves. When searching for arnica tea, you can also find it referred to as leopard's bane, wolf's bane, mountain arnica, mountain tobacco, mountain snuff, smokeherb, wound herb or thunderwort. So many names just for one healing herb. Arnica is a woodland plant native to Central Europe and Siberia. In the Northern hemisphere it is found in meadows in high altitudes. You can also find it in the US and Canada, afterall the name mountain tobacco is due to the fact that Native American indians used to smoke this herb. This perennial herb belongs to the sunflower family and it can reach 30-50 cm in height, offering solitary yellow or orange flowers that are 7cm wide. From June to August, anywhere from 1 to 9 flowerheads start growing in each plant releasing a slightly aromatic smell that contrasts with the strong odour of pine when the leaves are crushed. Arnica tea was first used in Europe in the 16th century to treat digestive disorders, bring down fevers and for topical treatment to deal with skin disorders. Nowadays, arnica is advised to be only used externally due to its potential toxicity, so its flowers are dried and used mainly in ointments, creams and gels to treat bruises and sprains. The benefits of tea are immense, so come along with us and let's find out how arnica tea can help you lead a healthier life. 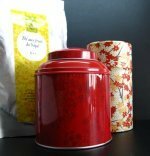 This healing tea is known for reducing inflammation, alleviating pain and killing germs due to two important compounds: sesquiterpene and dihydrohelenalin. It also contains flavonoids, polysaccharides, inulin, tannins, mucilage and resin. It is the perfect combination to bring you pain relief. Arnica herbal tea has antibacterial and anti-inflammatory properties that make it the right tea to alleviate muscle pain. So next time you need to treat swelling and bruising from blows or injuries such as sprains and hematomas, don’t hesitate and use arnica. It will definitely help you feel better! There are times when you get home from work and your feet are killing you. Prepare a cup of Arnica tea and use it as a foot bath. Put on some relaxing music, close your eyes and enjoy this relaxing moment. To help you recover from stress even better, may we suggest a cup of tulsi tea? If you happen to be bitten by insects in the Summer or have chapped lips and cold sores in the winter, the benefits of arnica herbal tea may help you cope with these ailments, so keep it in your cupboard for all seasons. Only be careful on applying this infusion to your lips so as not to ingest any of the liquid. This healing tea is useful to treat hair loss, so try rinsing your hair with arnica tea as it will stimulate hair growth. It can also regenerate tissue. If you want to know how to cure acne, add this tea to your list and start enjoying the benefits of arnica infusions each time you look at the mirror. Take a look at aloe vera tea for a nice face wash that may accompany this tea. Arnica roots contain thymol derivatives, which have an anti-inflammatory action and are also effective as vasodilators. Therefore, when used topically, arnica tea can help you by easing the blood flow and eliminating fluids. It promotes the reabsorption of hemorages and helps to avoid bruising as it stimulates white blood cells to dissolve trapped blood and fluid. This is what makes it a great remedy when you suffer from inflammed joints, gout and arthritis. Whenever you are experiencing abdominal pain, use arnica heating pads to experience some relief. It will relax your muscles and you feel better. The benefits of arnica infusions are plenty and work on skin problems such as scars, eczemas and terrible itching brought on by poison ivy. Give it a try! Internal use of arnica tea has only been recommended for treatments after operations, to relieve pain and to help treat certain heart diseases, but only under careful clinical supervision. So make sure you always consult with your doctor before taking arnica tea. Leopard’s bane can also come in great aid to treat leg ulcers in diabetics, stimulate blood circulation and raise blood pressure. Keep in mind that due to its toxicity levels, you must dilute arnica heavily to avoid serious health problems. Yes, the benefits of arnica tea are great, but you have to keep an eye on its side effects as well. The safest way to go is always to use it under medical supervision. Whenever using arnica externally, don’t apply it on open wounds or broken skin, as it can increase your blood pressure. If you have sensitive skin or are pregnant, it’s not advisable to use arnica in any way. Make sure you don’t use it for prolonged periods, as it can lead to eczema, edemas, rash, swelling and dermatitis. In other words, worsen your skin issues instead of offering relief. When drinking arnica tea, the risks are higher as it may be toxic to the nervous system, it is even considered a poison. It stimulates blood circulation in such a way that you should not ingest it without medical supervision. If you are allergic to ragweed, avoid taking or using any products containing arnica. When taken internally, arnica tea may cause stomach pain, vomiting, diarrhea, tremors, heart problems, dizziness, nervous disorders and inflammation of the mucous membranes. Do not use it as an internal cure for children. However, you may use arnica tea externally for healing bruises and swelling, as long as there are no open wounds. Another important aspect to be aware of is that leopard’s bane contains a toxin named helenalin, which is poisonous in large amounts. So be aware that contact with the plant itself may cause irritation, gastroenteritis and even internal bleeding in the intestines. If you do come in contact with it, wash your hands and any parts of your body that touched the plant quickly. Ready to try this new herbal remedy? 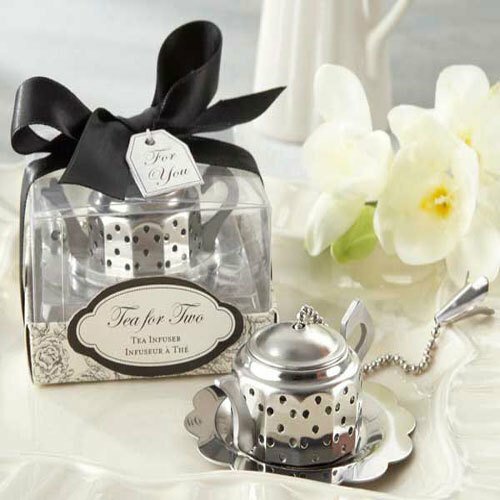 Like any other type of tea, it’s important to prepare it the right way and this tea is no exception. Let’s head to the kitchen and learn how to make arnica tea. Start by placing a tablespoon of the powdered arnica flowers in a cup of boiling water and with the help of a cloth, filter the undissolved powder. 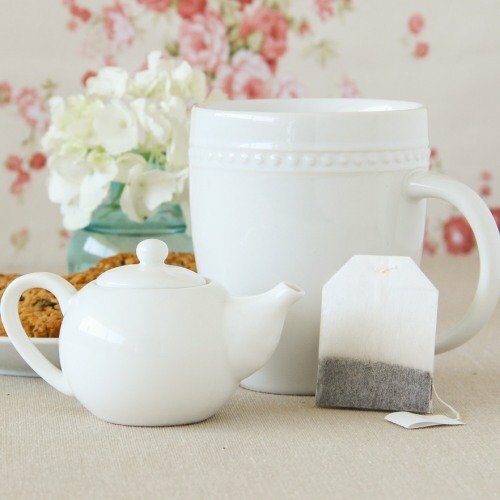 Let your tea cool down a bit and then soak a towel or washing a cloth in the warm tea. Apply it to the bruised or wherever you feel pain. You can also add a quart of tea to warm water and experience a soothing soak. For this you need a weaker infusion, so let’s start over! Start by boiling water and then add 1 teaspoon of arnica per cup into your teapot. Fill the teapot with the boiling water, cover it and let steep for 3 to 7 minutes. If you are looking for a stronger taste, let it steep longer. You can also prepare yourself a cup of arnica iced tea. Place 6 teaspoons of arnica in a teapot, pour 1 ¼ cups of boiled water and let steep for 5 minutes. Get pitcher that can hold 1 liter of your iced tea. Next, pour 250 ml of cold water into the pitcher up and then pour the steeped tea, while straining the leaves. Finish by adding plenty of ice and filling the remainder of the recipient with cold water and sweeten to taste. Here’s a tip: when making iced tea, make your hot tea stronger as it will dilute in the additional cold water and ice. Buy Your Arnica Herbal Tea Today! Click on the image or on the links below to purchase from Starwest Botanicals your Arnica Flowers. This is the perfect way to make your tea and enjoy all the great benefits arnica has to offer right in the confort of your own home. Whether you call it Arnica or Leopard's bane tea, it is a world worth discovering. With a clear light yellow colour in your cup, it is your solution to ease muscle pain and start smiling again!